But for me, the series’ greatest work has been to highlight a huge systemic flaw, not in the justice system, but in the human mind: Memories are awful. Science has known this for a while. Whenever we replay memories, especially important ones, we have a chance of altering them. But as Serial's Sarah Koenig and the hordes of amateur gumshoes back home try to make sense of the case, this fundamental problem keeps looming larger and larger. The murder is 15 years old. It happened in 1999, way back when I was writing Star Wars: The Phantom Menace fan fiction about my middle school. That’s a massive gulf in time, and that time has a cost. Adnan says he can’t remember many details of that day, details that, if he’s innocent, could help exonerate him. From the very first episode, Koenig talks about this problem, about how hard it is to remember details of a random day, even if your freedom depends on it. In that episode, we learn that a girl named Asia wrote a letter, a year after the murder, supporting Adnan’s alibi that he was in the library that day. Fifteen years later, Asia confirms it. But the reliability of that testimony is suspect. Not because Asia has a reason to lie, but because events of one year prior, let alone 15, are difficult to remember. We learn his track coach can’t remember if he showed up for track that day, a crucial component of his alibi. There’s the mutual friend who remembers Adnan hanging out at her apartment on the night of the murder, and remembers Adnan was acting strangely. But it’s difficult to tell how much that had to do with him smoking weed, and how much that had to do with a decades-old memory filtered through the haze of Adnan’s conviction. But even more disturbing are the memories that seem just completely wrong: There’s the student who claimed, 15 years ago, that a neighbor boy told her that Adnan had opened a trunk and shown him a body inside. But then when Koenig calls up that boy, he doesn’t recall that moment at all. Koenig uses these issues to cast doubt not so much upon the case against Adnan, but the legal system itself. It’s tough to tell when witness inconsistencies are lies, and when they’re faulty memories. In the latest episode, posted yesterday, she interviews a detective explaining how police sometimes give an unrecorded, dry run of a confession, better to iron out inconsistencies. Sometimes the problem is not that we don’t remember. It’s that we remember, but remember wrong. In fact, even the most vivid memories, the ones tied to emotion, the ones we think are seared into our brains, can quite quickly get distorted. One study examined memories of the September 11 terrorist attack, surveying 3,000 people immediately after the attacks about their personal experience, and then comparing how well they remembered the story they told. Three years later, their recollection of their personal experience was only, on average, 57 percent consistent with what actually happened. It was even worse for emotional memories — how did you feel? Only 40 percent remembered accurately. But memories raise just as many challenges for journalists. We rely in crucial ways on the memory of sources, but even the most confident ones can remember things surprising wrong. In interviews and debates this summer, County Commissioner Al French repeatedly said that he had never been anything but opposed to the purchase of the Spokane County Raceway. But in fact, in a 2009 Spokane Journal of Business article announcing his candidacy, French called the racetrack purchase "a good overall move" with the the caveat that there was "a hiccup with their operator. That's something that can be resolved." It’s a quote he’s been asked about before, one over an issue central to his election four years ago. I handed the Journal of Business article to French across the coffee shop table during the interview, with the passage highlighted. French didn’t offer spin or try to explain what he really meant back then. This issue poses all types of problems for journalists, especially narrative journalists. We love, if at all possible, to reconstruct scenes from years, even decades ago. So we ask questions: What happened, exactly? What were you feeling? What was the expression on his face? What was the color of his tie? Some details we can double-check, pulling documents, interviewing other sources, finding contemporaneous quotes and statements. But some things we can’t, and so we, inevitably, get things wrong. It’s not because they’re lying and it’s not because we’re bad reporters. It’s because we’re relying on memory, the most unreliable, unethical reporter of them all. 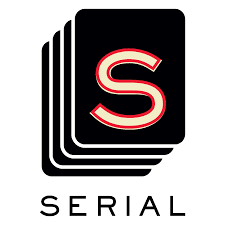 New episodes of Serial post each Thursday. You can find all of them right here.